Career Ambassador: a voluntary role that sometimes requires you to work unsociable hours. Why would anyone think to do anything close to this while undertaking a degree level qualification? Well let me tell you exactly why I decided to get involved alongside my university studies. 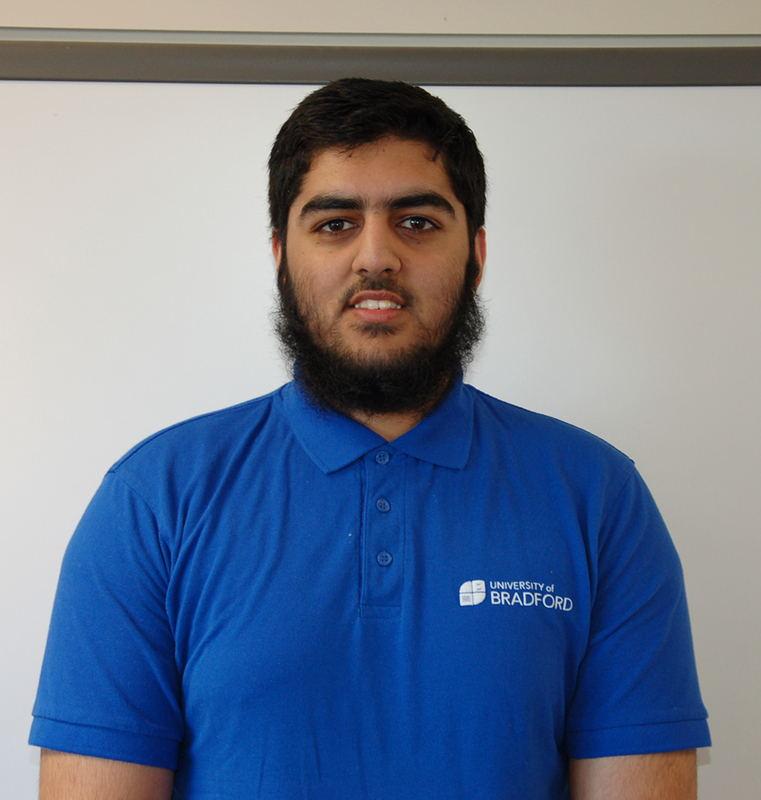 Hi, I am Abdul-Wahab, a second year student working towards a BSc (Hons) Computer Science for Business qualification. I would say before enrolling to university I was the typical average student – I would show up to class, get the bare minimum done, and then leave. And when tests, exams and assessments rolled around I would panic and cram in as much revision as possible the night before. I’m not sure how, but it worked up until last year, however I didn’t feel I was spending my time effectively and wisely. I would regularly question why I was studying and what I was going to do in the future. I was also extremely anti-social, which added to the problem and prevented me asking for help and seeking answers. So I decided to enrol myself into some extracurricular activities to tackle the questions and doubts I had. I was never a social person and I still consider myself an introvert to an extent. The first step was probably the hardest but the simplest. I decided to enrol to the Careers Ambassadors and Barclays-SAS Tech Challenge. The former being a role which was lending a helping hand around the careers team here at the University of Bradford, and the latter being a competition set up by Barclays and SAS challenging the entrants to create an innovating twist on the open banking application. I stood by them for three weeks and then I would make a decision whether to quit or continue based on my attitude to the work set. If I felt upset, angry or sad in anyway whilst thinking of helping out at the Careers department or adding to the teams work for the Barclays-SAS Tech Challenge there was no point in me continuing. It would be doing more harm than benefit and ultimately I would have doubled my burdens. Fortunately for me I felt a sense of purpose. Helping the careers team wasn’t taxing for me and gave my brain an active rest. It kept me on my toes but did not demand technical work, be that reports or subject-specific tasks. The Barclays-SAS tech challenge has a similar feel. I became friends with people I had never met before. It was refreshing and helped me apply my technical ability to a real world scenario, with hollow consequences. If the work wasn’t good enough, no one was losing their job, but if we created something ingenious, we would win the competition. It was a win-win scenario. This is the time where I assessed my progress and decided to continue with both activities. Nothing truly reaches its potential without hard work, but hard work is pointless without consistency. I aimed to undertake at least one opportunity to help the careers department once a week to ensure a manageable yet consistent level of effort and hard work. Whether this be handing out leaflets or putting up posters, which require around 1 hour to get a good job completed or helping at a careers event for roughly 3 hours, I set the goal to help out at least once a week. This mean that I would routinely be ready mentally and physically to answer the call whenever I was needed. In terms of the Barclays-SAS Tech Challenge, weekly meetings were set up, meaning regular updates and progress checks. This helped me keep working at a consistent rate. I had a task each week that I had to complete, again drilling this into my weekly routine was easy and after a few weeks it became second nature. 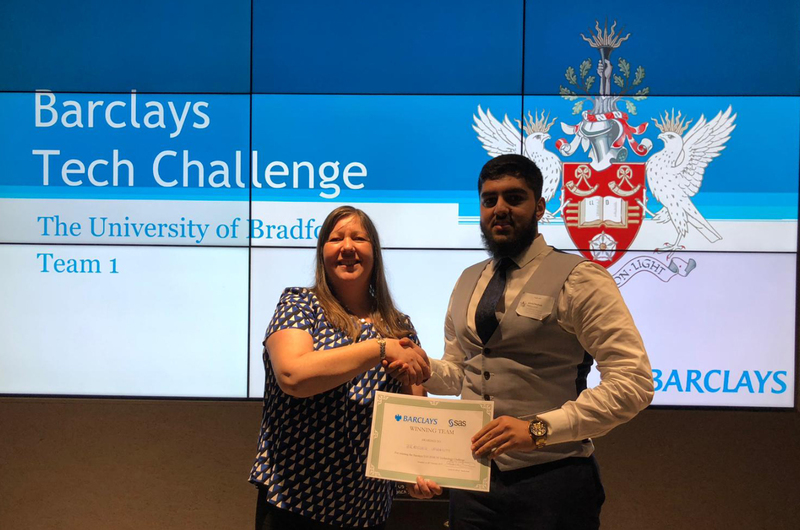 This ensured good foundations for the project, which ultimately led the University Of Bradford’s Team to win the Barclays-SAS Tech Challenge! Was all that time and effort volunteering and undertaking unpaid projects really worth the effort and energy that could be put elsewhere? YES! Honestly I couldn’t have gained the experience elsewhere. As a careers ambassador the work was easy and only when I was available, and I tried to help out at least once a week; there was a level of relaxation meaning I could ease my way into a semi-working environment. I learned how to communicate effectively with a team and a manager. I learned how to work with a new team each week, further building my self-confidence, and interpersonal skills. My time management, dedication, commitment and hard work were also improved. In terms of the Barclays-SAS Tech challenge, I felt a large improvement in my technical skills and a huge shift in my self-confidence. Winning the Barclays-SAS Tech Challenge granted me access to an internship and Amazon gift cards. The role with the careers department will be recorded on a HEAR certificate alongside my Degree certificate. I have been nominated for the Student Leadership Award, and a Vice-Chancellors Award for Outstanding Achievement, both prestigious awards. I never thought I would be nominated for awards of this calibre, and just being nominated for these awards will open doors and opportunities for me. A degree is good, It shows you have the technical knowledge, but having a HEAR certificate, and award nominations will hopefully take me from the ‘maybe’ pile to the ‘YES’ pile! Fear is temporary, but regret is permanent! Thanks Abdul-Wahab! See more on volunteering and Career Ambassadors here.